Mandy De La Mare knows what it’s like to need a bit of support. 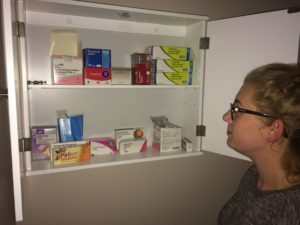 When she and her husband separated, whilst expecting their first baby, she realized that her husband had been her main carer; but despite her disabilities and visual impairment, Mandy was determined to remain independent throughout her pregnancy and beyond. 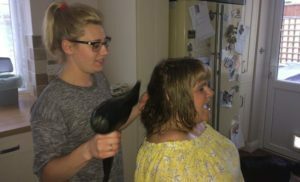 Rather than returning to live with her parents she decided to opt for assistance at home and now, years down the line, she has four personal assistants helping her during the week. Her story shows how employing a personal assistant can work. “Gradually I got a bit more help and, these days I have four PAs who help me, Monday to Friday between half past seven in the morning and eight o’clock in the evening” she says. “In the morning an assistant comes and gets me up and dressed. She takes my daughter to school and helps with routine things like emptying and filling the dishwasher. During the day the next assistant comes and does things like taking me out shopping, or to appointments, cleaning the windows and curtains, ironing and preparing food. “Recruiting a PA is hard work”, says Mandy, “it’s really important to get the right kind of person. I look for someone who isn’t patronizing and is friendly, fun and outgoing – they have to be sociable. 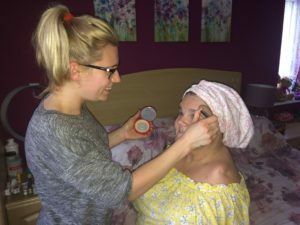 “My biggest piece of advice to other beneficiaries looking for a PA is look for someone with a similar outlook, who’s friendly and up for a challenge. Make sure they’re sociable.” Says Mandy. If you would like to learn more, visit our Employing A Personal Assistant section.